If you like to tweak and customize IE with Add-ons and changing settings, sometimes you may have problems with stability. 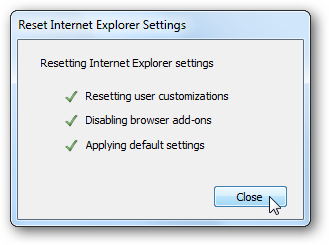 To save time, you can reset all of the IE settings rather than trying to troubleshoot individual areas. 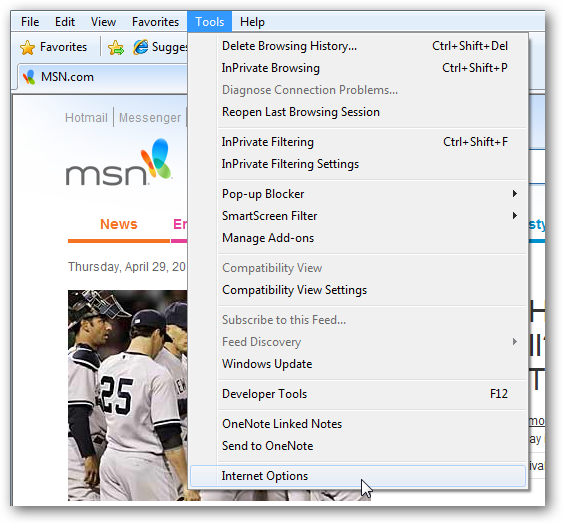 To reset Internet Explorer Settings, click on Tools then Internet Options. 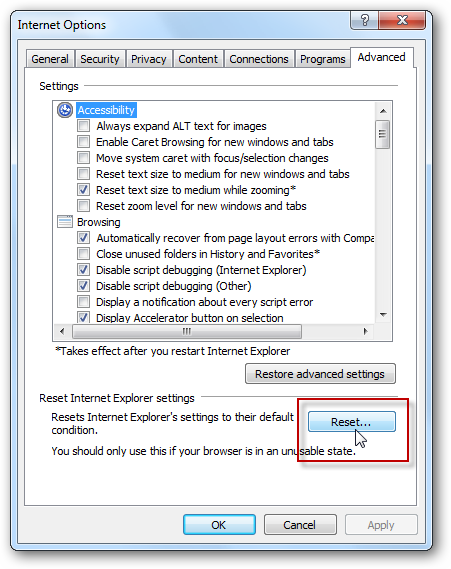 When you reset the settings, you won’t lose personal settings like your homepage, search provider, passwords…etc. 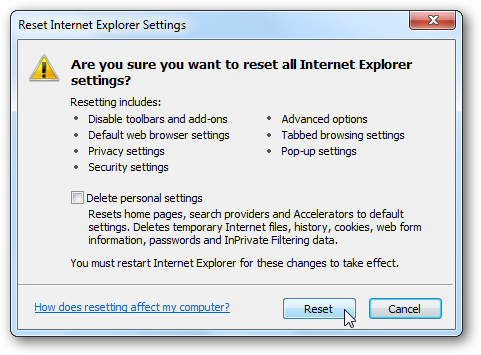 The Internet Options screen opens…click on the Advanced tab, then under Reset Internet Explorer settings click on the Reset button. You’ll need to verify that you want to reset all Internet Explorer Settings. If you choose to, you can delete all of your personal settings as well, but it shouldn’t be necessary to fix stability issues. The settings will start to reset, and when it’s finished close out of the message box. For the process to complete you’ll need to restart Internet Explorer. When it restarts you’ll be presented with the Welcome screen where you can go through the setup wizard again. After it’s complete, you should be back in business and can start using IE again. 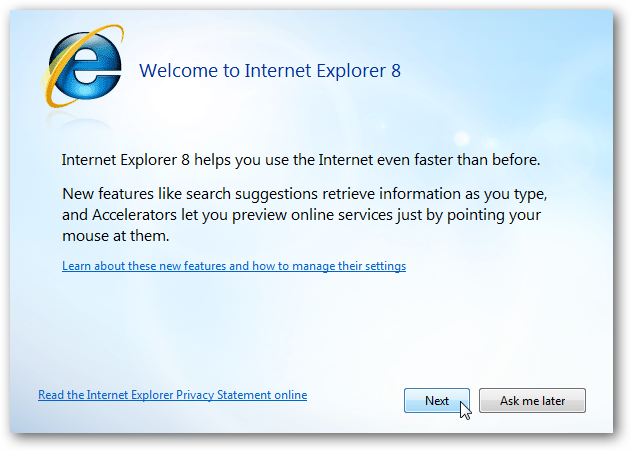 With the new enhancements and features available in Internet Explorer 8, sometimes too much tweaking can cause it to stop working. 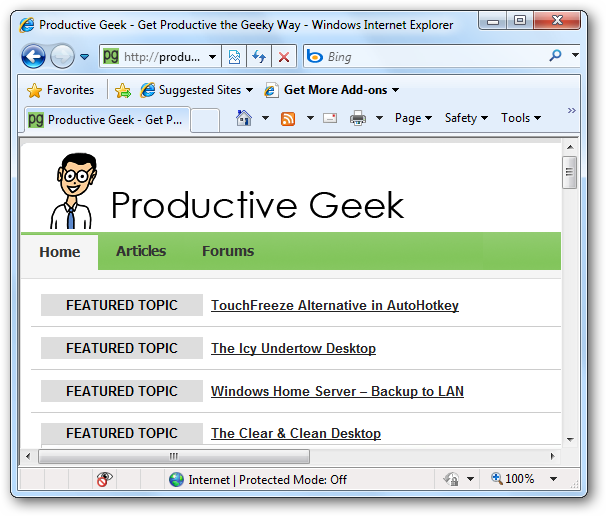 One area you could start with is troubleshooting IE 8 Add-ons. However, if you don’t want to waste time troubleshooting each potential issue, sometimes it’s just easier to reset things back to how they were originally.